How much would you pay for a good cup of coffee? $2? $5? $10? $25? How about $100 for a single cup? You ask, "What could possibly make a cup of coffee worth a hundred bucks?" The answer is simple: rodent poop. That's right. The most expensive cup of coffee in the world is made up of a mixture of two coffee beans: the Jamaican Blue Mountain and the Kopi Luwak. The coffee is called "Caffe Raro." 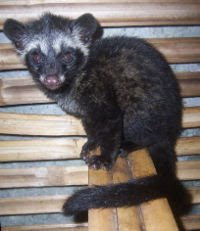 What makes Kopi Luwak so wonderful is that the Kopi Luwak beans are eaten by a rodent that lives in southeast Asia and China called the Asian palm civet (see picture). The rodent is apparently a coffee connoisseur and only eats the finest and ripest coffee beans. Then, the enzymes in its digestive juices make the bean oh-so-good. After the civet digests and passes the beans, workers collect the feces and separate the beans from the poop. Then, the pooped Kopi Luwan beans are sold at more than $300 per pound. They are combined with the Jamaican Blue Mountain bean to make the special brew. Want a cup? You can have one at Peter Jones in Sloane Square in England this month. Yup, that's some good... errrr...coffee! i know this really has NOTHING to do with this post, but it makes me think of a line from the 2nd Ace Ventura movie..."guano bowls! collect the whole set!" LOLOLOL! and about the coffee...would you personally dare try a cup? LOL! Hi - I am enjoying your selection of pointless items. I also do a syndicated weird multimedia news blog, for Reuters. 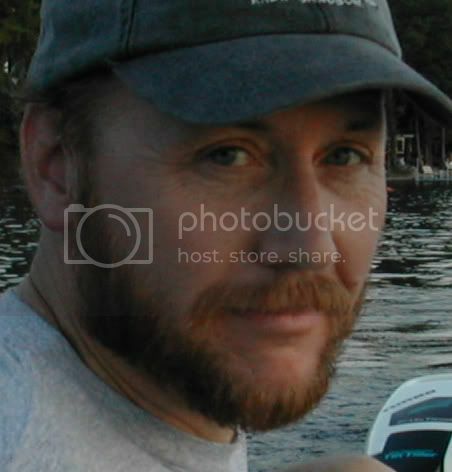 Feel free to visit and direct your readers my way any time. I think they'll find my stuff as pointless as humanly possible. lol. What I want to know is who in the world ever discovered this treat???? I mean, there must have been a guy one day who said, "Hey, I want coffee so bad that I think I will cook up those beans that rat just pooped out." That, Robin, is a serious coffee deprivation. sure, josey, I'd try it, but I would want to turn around the money exchange-- you would have to pay me the hundred bucks... and it would help if I had a really bad caffeine headache! Thanks for dropping by. I am glad you like what you read here. I am honored that someone connected to Reuters comes by my pointless. The Reuters' Oddly Enough feed is one that I have subscribed to for a long time. I see that your blog is a different feed. So, I just subscribed to it and will keep my eye on it regularly (and direct people there). Thanks for dropping by. Stay in touch! Disgusting... I will not be popping down to Peter Jones in any hurry! aww thats gross, people will buy and consume the weirdest things.